Nokia introduces its first CDMA Windows Phone in China, the Nokia 800C. 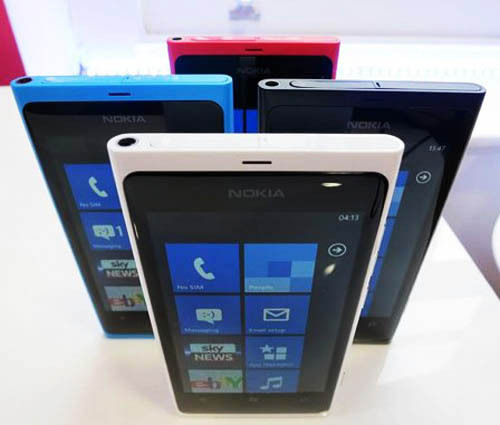 Nokia has unveiled its first CDMA Windows Phone made especially for the Chinese market. The Nokia 800C, a ‘variant’ of the Lumia 800 phone, shares the same design and specification as the Lumia 800 but is said to be ‘especially tailored for people in China’. Nokia enlisted China Telecom as its exclusive launch partner and announced the news during a ceremony held at the Yongdingmen Gate in Beijing. The Nokia 800C will hit Chinese stores next month and will be available in both cyan or black sell for 3599 RMB without contract.